TALKS AIMED at ending the Merseyrail guards’ dispute collapsed today when the company flatly refused to discuss RMT’s compromise proposal. The union had refrained from calling more strike action on Merseyrail to coincide with strikes in separate disputes at Arriva Rail North and Virgin East Coast, in order to give the talks a fair wind. But RMT’s offer to put the contentious issue of train despatch and door operation into a joint safety working-group was rejected out of hand by Merseyrail bosses, who know that the Merseyside public will be left to pick up the bill for the dispute, thanks to a reimbursement clause hidden in their contract. 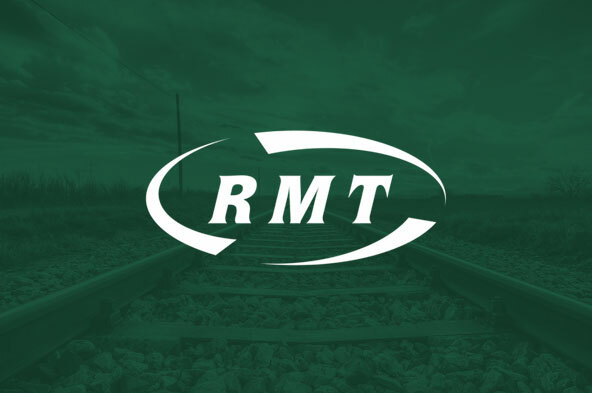 “Our negotiating team put forward a compromise that would have allowed us to talk about guaranteeing a second safety-critical crew member aboard every train separate to the issue of train despatch and door control. “It is difficult to understand why Merseyrail invited us to talks in the first place, as they have not budged even a fraction of an inch. “Their invitation said that they wanted to see an end to the dispute, but when we got round the table there was still nothing on it but the complete abolition of Merseyrail guards. “That is not just another stab in the back for our members, but a total insult to the Merseyside public who have overwhelmingly supported the campaign to keep guards on Merseyrail.